Gemini, a division of GCI Technologies, is pleased to announce the new GTX series of passive loudspeakers. With over three decades of speaker production under their belts, Gemini has always demonstrated an ability to seamlessly merge value and sound quality. And the new GTX loudspeakers follow suit, offering outstanding dispersion and accurate audio reproduction at an accessible price. 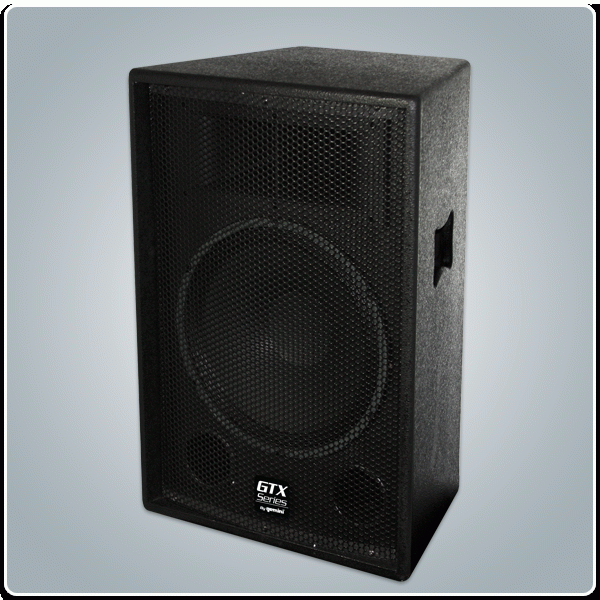 Ideal for a variety of performance spaces, as well as mobile DJs and gigging musicians, the new GTX series provides a great sounding, cost-effective speaker solution, thanks to balanced, full-range audio and rugged, portable enclosures. With beefy, high-quality woofers and double piezo horns, the new GTX series features four configurations: the GTX-1000 houses a 10-inch woofer and handles 100 watts RMS; the GTX-1200 sports a 12-inch woofer and handles 125 watts RMS; the GTX-1500 contains a 15-inch woofer and handles 185 watts RMS; and the GTX-2150 boasts dual 15-inch woofers and handles 315 watts RMS. Outstanding audio quality and impressive power handling make the new GTX speakers perfect for PA applications in schools and houses of worship, while lightweight, roadworthy construction makes them ideal for DJs and musicians. Combining performance and affordability, GTX passive loudspeakers offer a classic complement to any stage, practice space or DJ rig.